The VP-470 3G HD-SDI ProScale Digital Scaler from Kramer is a high-performance digital scaler for 3G HD-SDI signals. 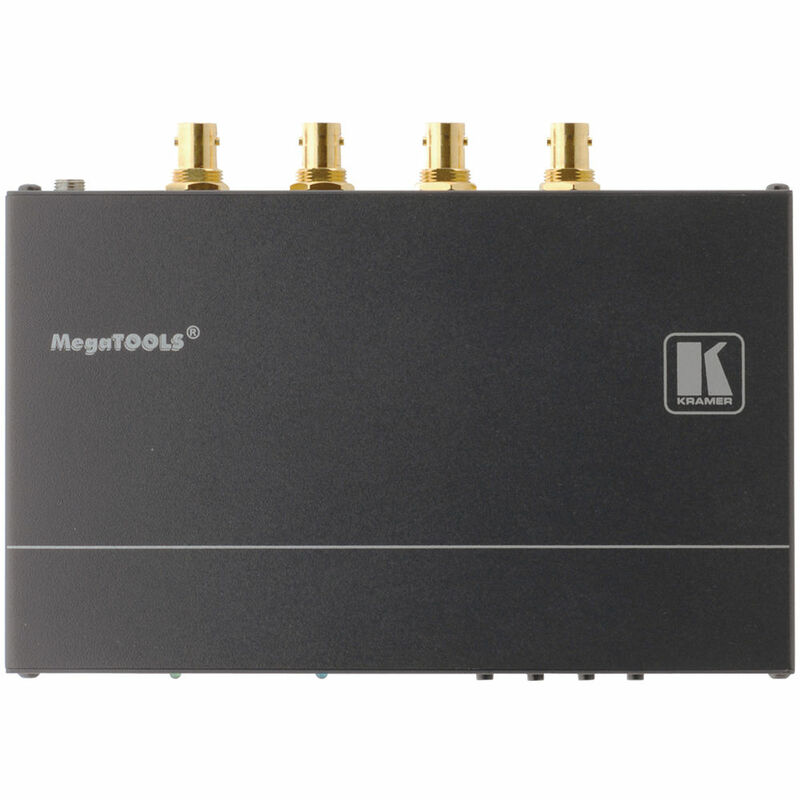 It up- or down-scales the incoming SDI signal to resolutions up to 1080p and routes it to two identical BNC SDI outputs. The VP-470 is useful for projection systems in conference rooms, boardrooms, hotels, and home theaters.